Skoda have thoroughly shaken off the budget-brand hangover of their Eastern-Bloc past; it was never a fair judgement by oddly snobbish car buyers, and now their range reflects the real roots of the Czech firm – luxurious, well made and stylish large cars, together with advanced, trendy small vehicles quick to adopt new technologies. For those old enough to remember rear-engined Skodas, it's often forgotten that the layout was considered brave, and advanced when they were designed in the 1950s! 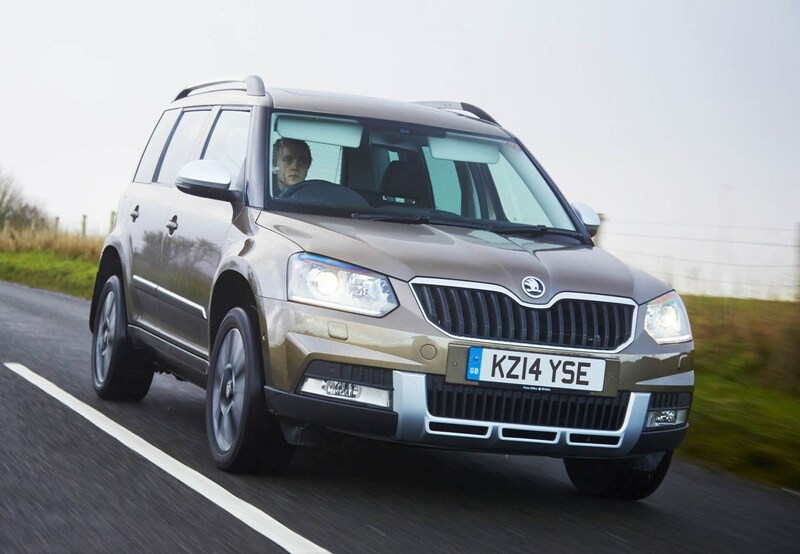 Skoda's reinvention in the eyes of British buyers revolves around a similarly brave, advanced car – the Yeti. Contemporary to the equally dramatic Roomster, the Yeti capitalises on pioneering interior design and layout, tones down some of the more extreme clashes of exterior design and builds on a rugged profile. The result is a driver-friendly compact SUV with real on and off-road appeal. 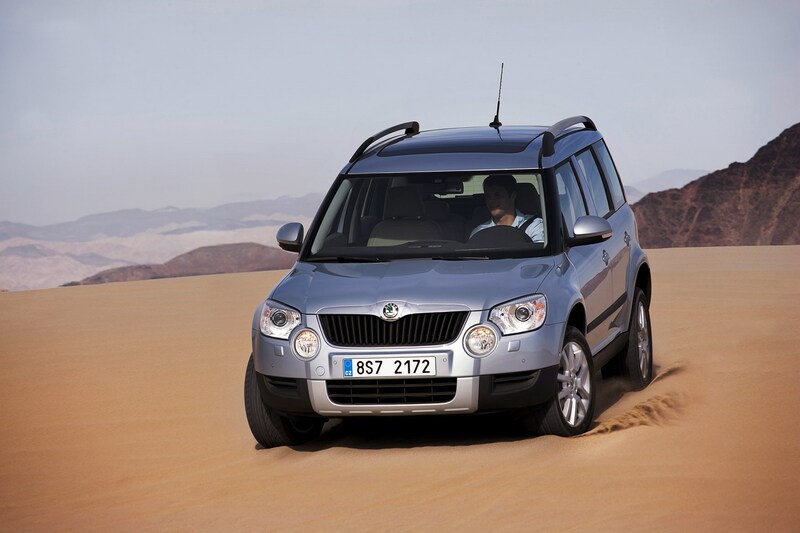 Unlike the mythical hairy hominid from which it takes its name, the Skoda Yeti is rather easier to spot. Parker's cars for sale section usually has hundreds available, and you'll see this allegedly elusive beast in most shopping centre car parks and school runs around the UK; no need for camouflage or elaborately constructed hides. Keen spotters will soon learn the sound of the Yeti in the wild; a gentle purring provided by Volkswagen group's ubiquitous 2.0-litre TDI, or a slightly offbeat growl from the 1.2-litre three-cylinder TSI; these extremes are filled out by the 1.4 and 1.8-litre TSI petrol, or 1.6-litre diesel. 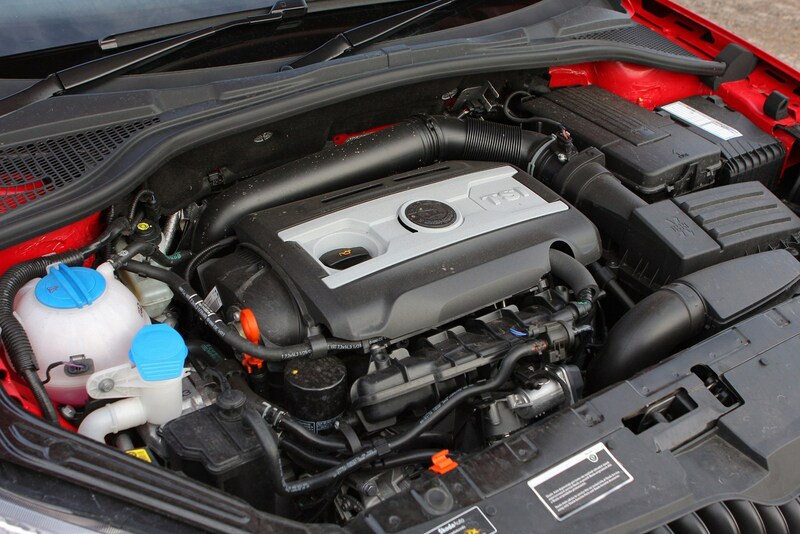 Power outputs range from 105hp to 170hp – with many of the higher-powered models also having all-wheel drive. If you're stalking a Yeti in a densely wooded area, they're remarkably swift and surefooted. One thing they're not is big. The Yeti's footprint is remarkably small, at just 4.2 meters long (though with the mirrors, it's over 1.9 meters wide) it can take spaces that would be denied to a Ford Focus or Volvo V40. 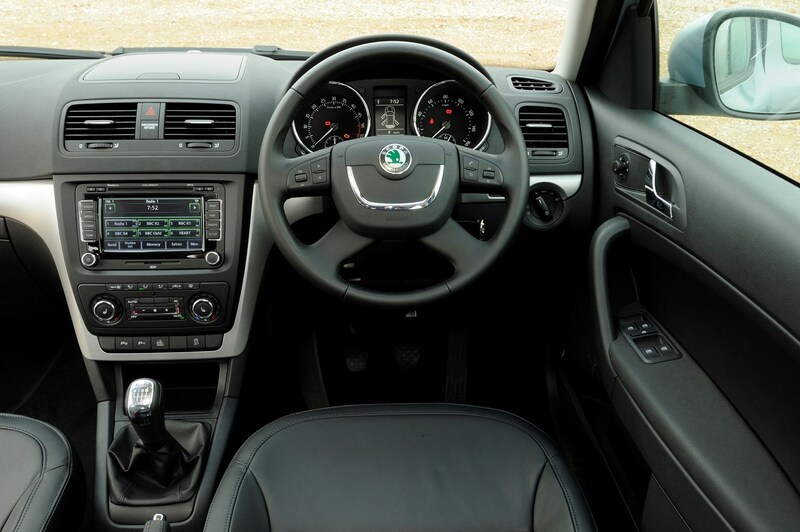 Why choose the Skoda Yeti as a family car? 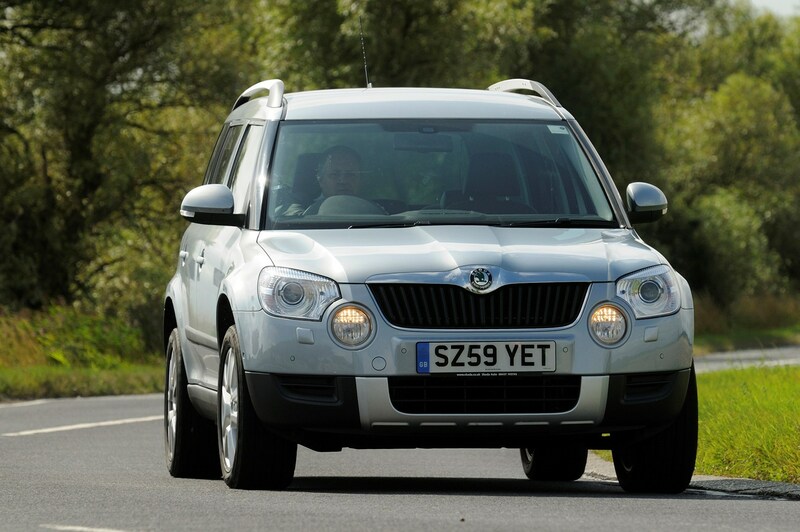 Fundamentally, the Skoda Yeti is just a brilliantly executed small, do-anything kind of vehicle. It doesn't ride as high as a full-size 4x4, but has a nice tall body for plenty of headroom, big windows, and easily placed flattish sides maximising interior space for the room it takes on the road. Despite those compact dimensions, the Yeti offers rear passenger room that is cavernous by comparison with typical family hatchbacks. That light and airy cave can also be configured in a variety of ways with VarioFlex seating, including removal of the centre rear seat entirely to allow two adults (or teenagers) to sit in the back without rubbing shoulders. The boot is also large enough for provisions for a long winter, expanding from a generous 416 litres (depending on trim), to an impressive 1760 litres with the rear seats removed. 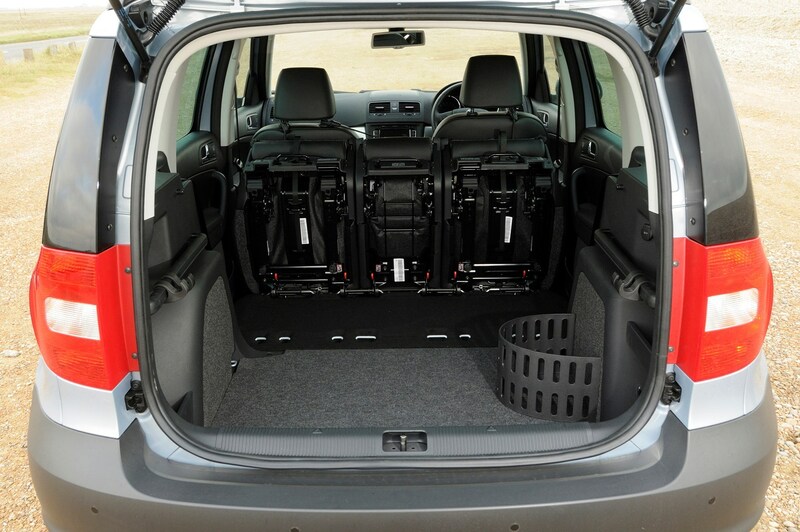 As these are individual units, they're light and easy to take out of the car, too. 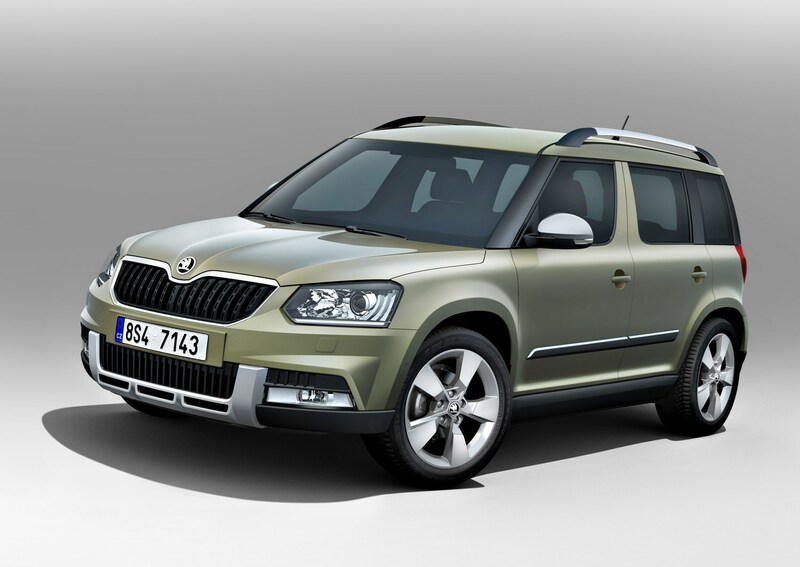 The practicality of the Skoda Yeti does not come at the expense of performance, either; choose the higher-specification 170hp 2.0-litre TDI and you'll find a 0-62mph sprint of just 8.1 seconds; even the 105hp models are below 12 seconds. High specification interior trim for the Laurin & Klement, a full glass panoramic roof and sophisticated infotainment are all available in the range, and the 2.0-litre 4x4 models can tow 2,100Kg as well. As multi-talented small cars go, the Yeti is pretty unbeatable. It's not all good news, however – the Yeti is not without problems, so buying carefully is essential. It's worth looking at your dealers' reputation online, and considering an additional warranty on cars that qualify. Parkers owners' reviews indicate drivers love the cars themselves, but don't always get a great experience if issues occur. The Skoda Yeti isn't a proper 4x4 though, is it? Like most Volkswagen group cars, the Yeti uses a Haldex all-wheel drive system to distribute torque between the front and rear axles of the car, and for the most part it'll operate as front-wheel drive. It's a great system for bad weather conditions, particularly in conjunction with good winter tyres, but it doesn't give the same degree of control as a Suzuki Vitara – it is, however, not that different to the systems found in contemporary Land Rover Freelanders, or smaller (and rather more robust), Jeeps. It'll cope with a rutted, muddy track or pulling a trailer out of a wet grassy field just fine. Adding to the 4x4 system's ability to send up to 90% of the engine's torque to the rear axle, the Yeti gains hill descent control as part of a driver-friendly 'off road' mode. 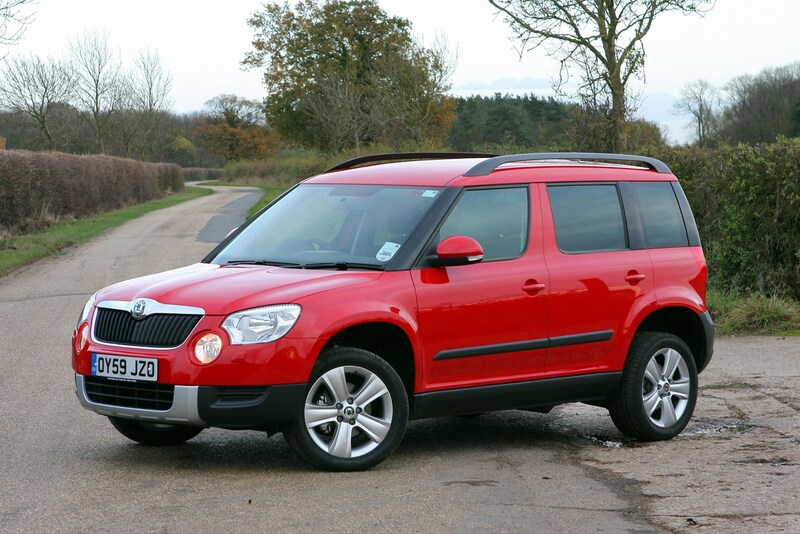 What should I consider when buying a used Skoda Yeti? 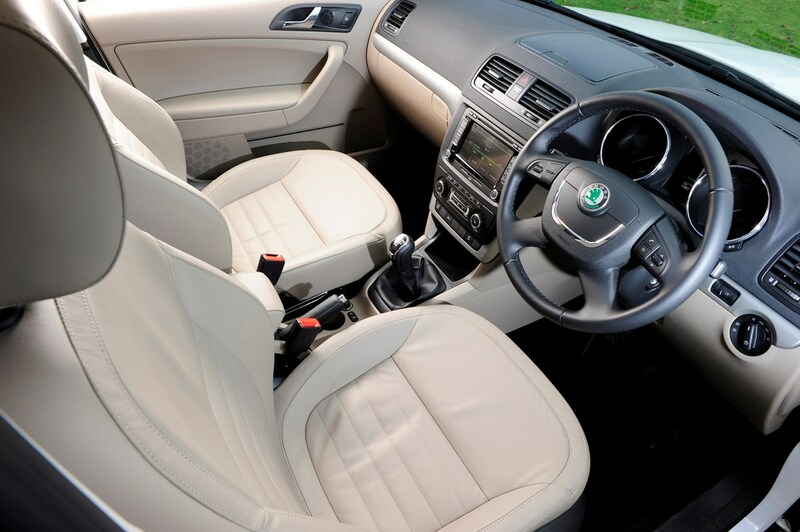 Introduced in 2009, the Skoda Yeti combines two proven platforms to build a car which has the footprint of a larger supermini and the interior space of a family car. Externally, the original model shared a family look with the Skoda Fabia; a facelift in 2013 introduced a sharper, hard-edged style that really suits the Yeti's shape, and split the range; the Outdoor models retain black plastic cladding, where regular Yetis are body coloured. Failure of the dual-mass flywheel can be costly, and detected by squawks, squeaks and rattles when pulling away long before it actually fails. Check for leaks and damp footwells. On 4x4 models, check the service history for a Haldex fluid change every 40,000 miles or three years. 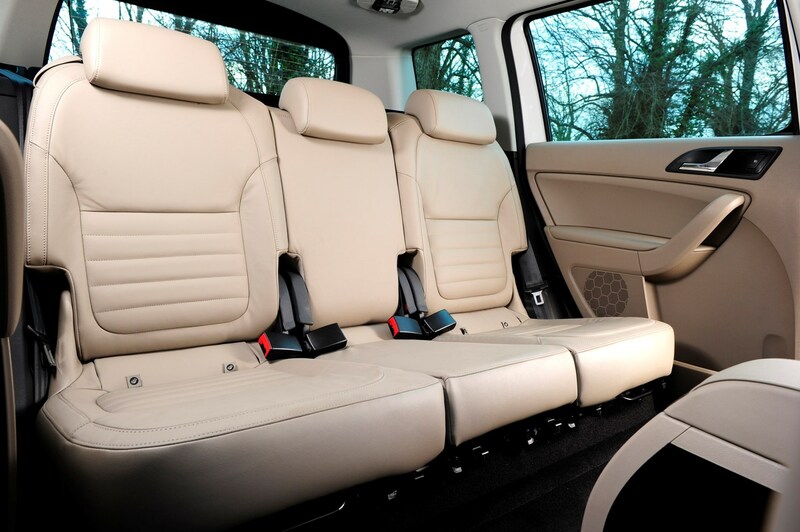 On all models, check the rear seats latch and unlatch and fold easily. Check for paint rectification work on doors and arches, particularly on pre-2010 cars. Like many early DSG gearbox equipped cars, early transmission replacement is not uncommon. Front suspension droplinks wear quickly. Lower-mileage urban-living diesels may not regenerate DPF often enough, causing failure. All models can be prone to high oil consumption. Generally higher-power diesel 4x4 models have the highest repair and running costs. Where's the Skoda Yeti now? Skoda discontinued the Yeti in 2017, and the Volkswagen group currently lacks an offering with the same combination of compact exterior and family-friendly interior space; the Skoda Karoq is a larger car with less adventurous styling, and the closest replacement for the 4.2-meter length is the Volkswagen T-Roc – which is relatively cramped inside. As production only ended in 2017 there are plenty of low-mileage examples available, many with the balance of manufacturer warranty, so if the Yeti appeals, it's worth hunting for. 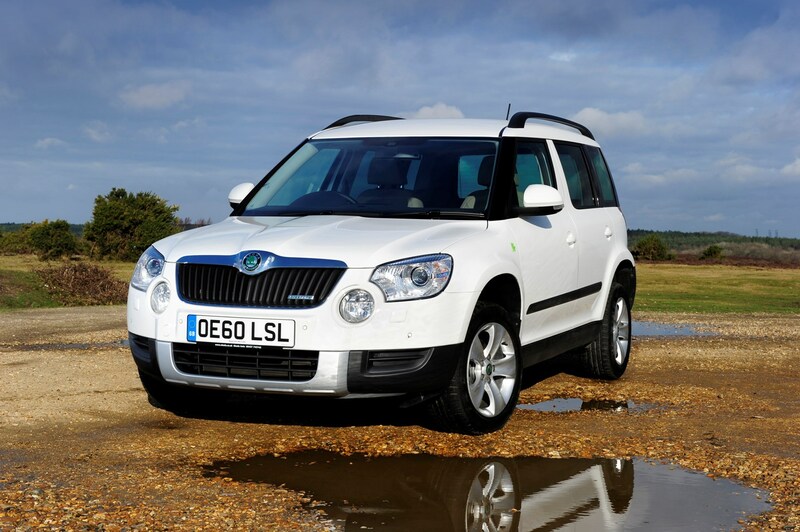 How much should I pay for a Skoda Yeti?